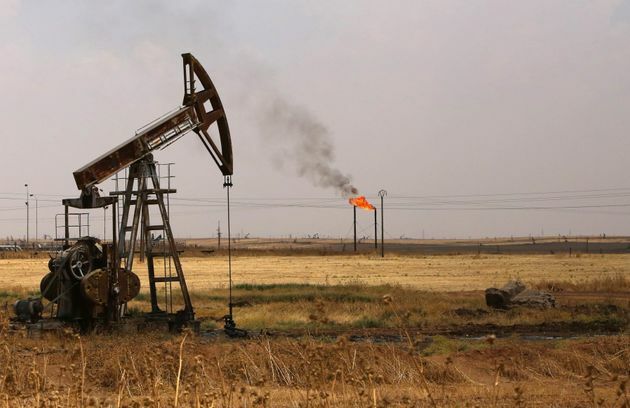 AMMAN, Sept 7 (Reuters) – Islamic State fighters have seized the last major oilfield under Syrian government control during battles over a vast central desert zone, a group monitoring the conflict said on Monday. The Jazal field was now shut down and clashes were ongoing east of Homs, with casualties reported on both sides, the Britain-based Syrian Observatory for Human Rights said, without giving dates or more details. Syria’s army said it had repulsed an attack in the same area but did not mention Jazal or comment on how much of the country’s battered energy infrastructure remained under its sway. It said it killed 25 fighters, including non-Syrian jihadists. “The regime has lost the last oilfield in Syria,” said the Observatory, which tracks violence through a network of sources on the ground. CREDIT: YOUSSEF KARWASHAN/AFP/GETTY IMAGESOil well pumps are seen in the Rmeilane oil field in Syria’s northerneastern Hasakeh province on July 15, 2015. The Observatory also said U.S.-led coalition bombing raids in areas in the militant’s de facto capital of Raqqa had killed at least 16 militants, including five foreign jihadists. Islamist insurgents bombarded the heart of the Syrian capital Damascus and mortars killed at least one civilian and wounded scores, state television said.